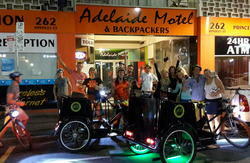 The Adelaide Travellers Inn is a fun, friendly hostel with a relaxed 'no stress' attitude. 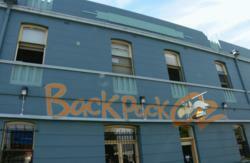 We offer affordable accommodation, tours & travel and help finding work. The Adelaide Travellers Inn is a bit of an old building but has great character, a homely feel and is a great place to meet people. 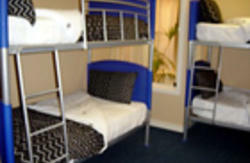 We offer private rooms with en-suites, 4 bed dorms with share bathrooms, 4 bed dorms with ensuite, and female only dorms. We have an in-house Mad Travel Shop, so you can book all your tours and travel in the comfort of our hostel and save! We also have a job desk available for all you keen workers wanting to stick around! We offer WiFi for $5 for 24 hours, and can provide printing, scanning and faxing services.